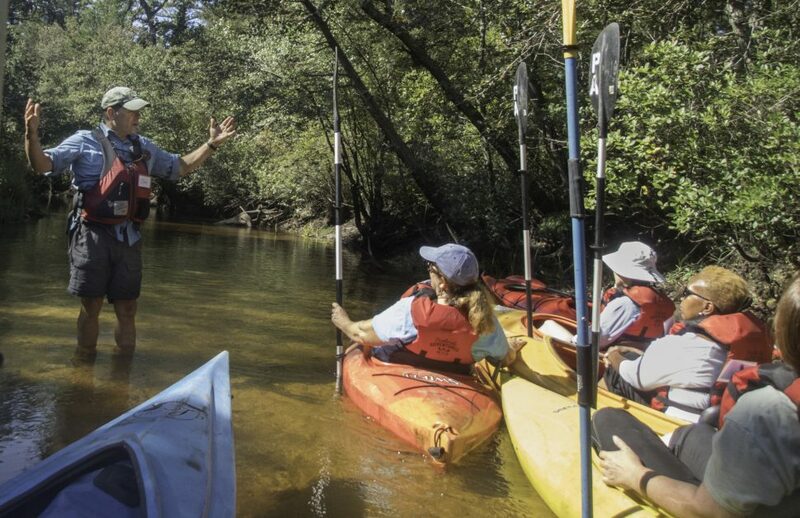 An immersive journey on the Batsto River led by guide and naturalist John Volpa. During this trip, you will explore on water and land and learn about Pine Barrens habitats, history and plants and animals. 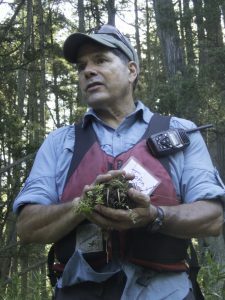 Immerse yourself in a unique Pine Barrens journey led by guide and naturalist John Volpa. During this trip, you will explore on water and land and learn about Pine Barrens habitats, history and plants and animals. You will begin your journey at Quaker Bridge on the Batsto River. Once on the river you’ll make stops along the way to investigate unique Pine Barrens plants along the rivers edge, learn about the role of fire in Pine Barrens ecology, and history of bog iron in the pines. You’ll stop along the way for lunch (paddlers must provide their own lunch or snacks) to review Pinelands maps and also for dip netting to get a closer look at the fish and invertebrates that inhabit the river. Your trip will end at Batsto Lake where you will be transported back to Pinelands Adventures. This is a great trip for families, scouts or groups. Guided trips are limited to 14 people and minimum age is 8. Participants must be physically fit and able to canoe or kayak for about 4 hours while also exploring on land. Paddling instruction is not a component of this trip. Participants should have some canoeing or kayaking experience. Link here if you are interested in self-guided trips or livery service. The trip will be led by guide and naturalist John Volpa, Pinelands Adventures’ Education Director. John has a long history of Pine Barrens exploration as a former environmental science teacher with Shamong Township Public Schools and an instructor with Pinelands Preservation Alliance’s summer Teacher’s Institute. An Evesham Township resident, John has also been the catalyst behind the creation of the Black Run Preserve in Evesham. John is a highly skilled paddler and passionate about sharing the Pine Barrens. “I absolutely loved yesterday out on the Batsto. You are the Best Guide ever—and I have done many guided trips with great leaders. However, you surpass them all. Thank you for a terrific day … I will definitely sign up for more trips.” — Joan R.
“John Volpe was the highlight of the trip. Truly outstanding in every respect. The savannah stop was perhaps my favorite.” — Terence G.